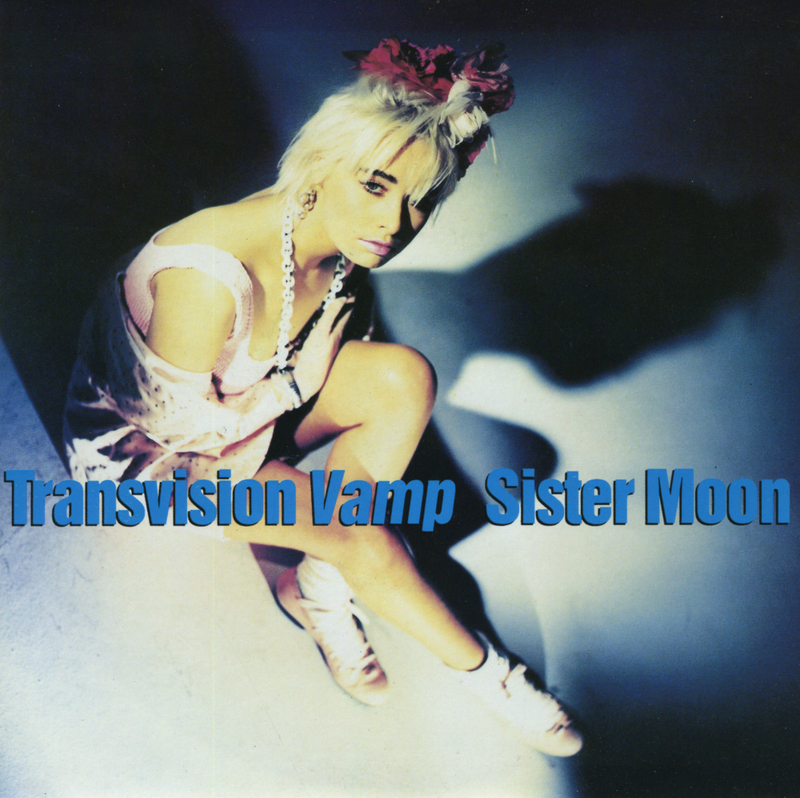 'Sister Moon' was Transvision Vamp's fifth single release and the final single to be taken from their debut album Pop Art. 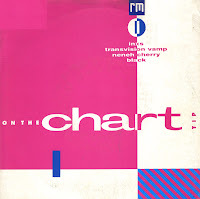 It was a minor hit on the UK singles chart in 1988, peaking at number 41. Like most of their singles it featured two tracks on the B-side. The album 'Pop Art' peaked at number 4 in the UK albums chart and became the 25th highest selling album of 1989 in Australia, peaking at number thirteen. 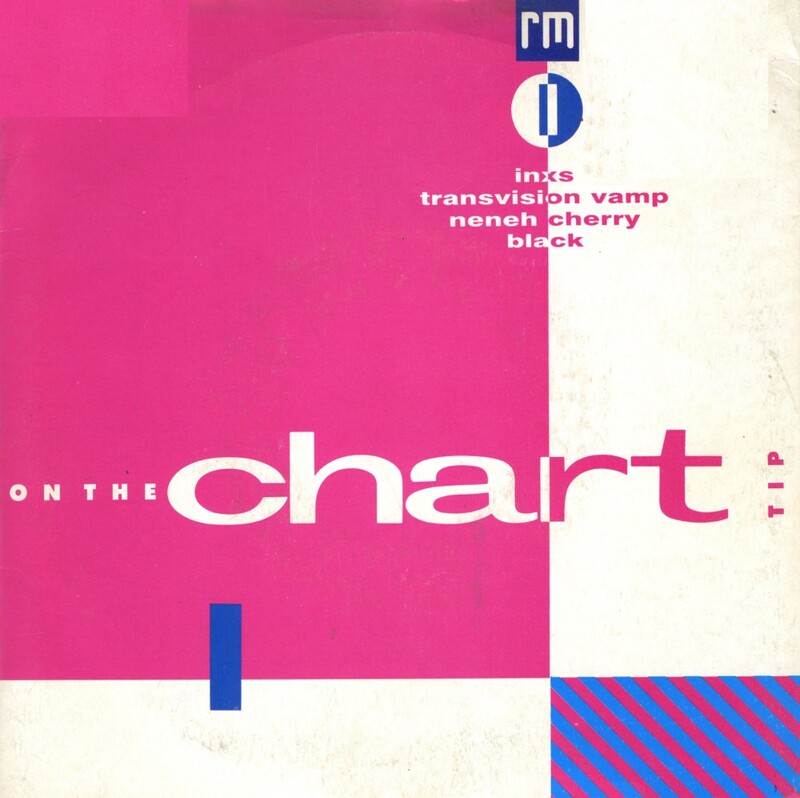 The British music magazine Record Mirror released an EP with four tracks from various artists from time to time. This, apparently, was the first, released in 1989. It brings together two album tracks from INXS and Black plus an exclusive track from Transvision Vamp and an exclusive remix from Neneh Cherry. I bought the EP mainly for 'You don't always do what's best for you', a track from Black's then-current album 'Comedy'. Although this is the album version, it fades away 30 seconds earlier and so this is an exclusive edit of the track. 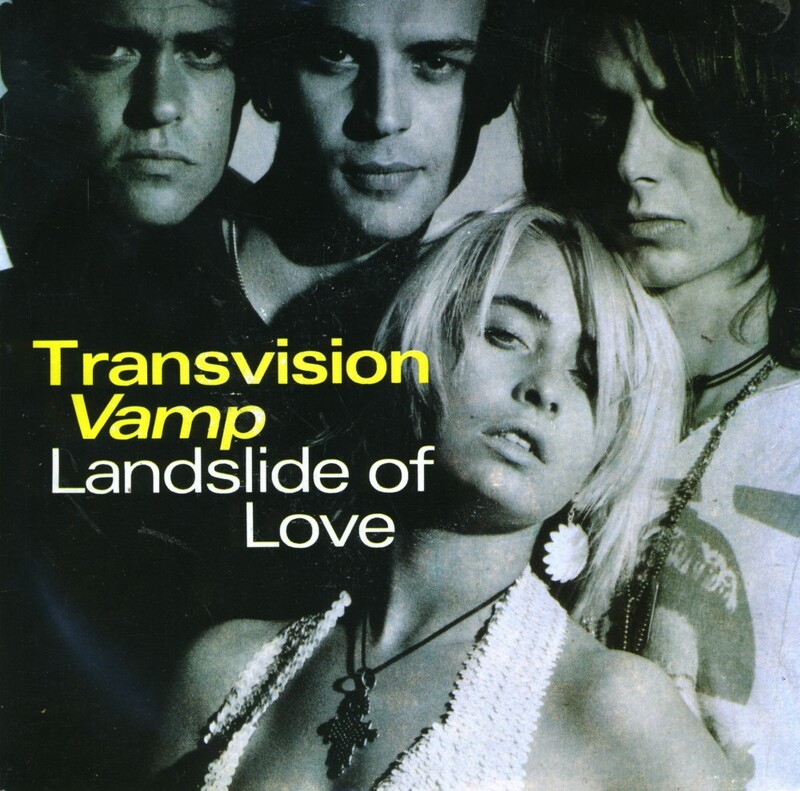 It doesn't sound very romantic, a 'Landslide of love', but there you have it: it's the title of Transvision Vamp's eighth single. Released as the third single from the band's second album 'Velveteen', it spent five weeks in the UK singles chart and peaked at number 14. 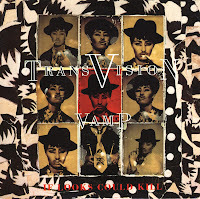 Released in 1991, 'If looks could kill' was the final single by Transvision Vamp, the second to be taken from their third album 'Little magnets versus the bubble of babble'. This album took on a more mellow sound which was the reason that their record company at one stage refused to release it - it was eventually released in the USA but never in the UK. Although released in a variety of formats, this single only managed to reach number 41 on the UK singles chart. The band subsequently broke up 'unofficially' before Christmas 1991 and officially with a statement through their label in February 1992. 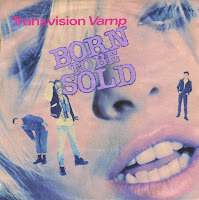 'Born to be sold' was released in October 1989 as the ninth single by Transvision Vamp. The single featured two live tracks on the B-side, one of which was a cover version of the Rolling Stones' 'Down on you'. The single reached number 22 in the UK singles chart, but like most of their singles, it didn't chart in Europe. 'The only one' was the second single from Transvision Vamp's second album 'Velveteen'. The sleeve design was similar to that of the previous single 'Baby I don't care', this time featuring the band against a panelled backdrop printed with a large photo of Marilyn Monroe. The single became a UK top 20 hit in 1989 and peaked at number 15, spending a total of six weeks on the chart. 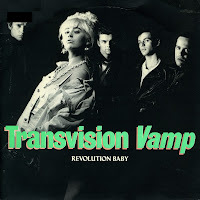 'Revolution baby' was the last single by Transvision Vamp I ever bought. It was a gamble: whereas I knew the three others before I bought them, I hadn't heard this one at all. It is a far less memorable song, which is why I stopped buying their singles. Still, it was a hit, reaching number 30 in the UK in the summer of 1988. The band went on to release the hit album 'Pop Art' in October. It stayed on the album chart for 32 weeks, peaking at number 4. It was this video that started me getting interested in Transvision Vamp. At first the singing irritated me, but I kept watching this video. Then something clicked: the music was nice and aggressive and the voice needed some getting used to. In the end, I succumbed and started buying later singles by Transvision Vamp - 'I want your love' was gone from the shops by then. So I had to find it afterwards. 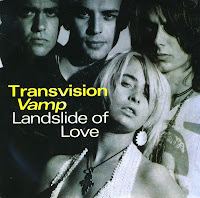 'I want your love' was Transvision Vamp's first top 10 hit in the UK, peaking at number 5 in the summer of 1988. In the Netherlands, it was their only single to reach the Dutch Top 40. 'Baby I don't care' was taken from Transvision Vamp's second album 'Velveteen' and was released in 1989. The song is their most well-known song, peaking at number 3 in both the UK and Australia. The guitar riff in this song is based on The Sonics' version of 'Louie Louie', with Wendy James's scream modelled on their lead singer Gerry Roslie's. 'Tell that girl to shut up' was originally released in 1980 by Holly and the Italians, a short-lived American pop punk band. 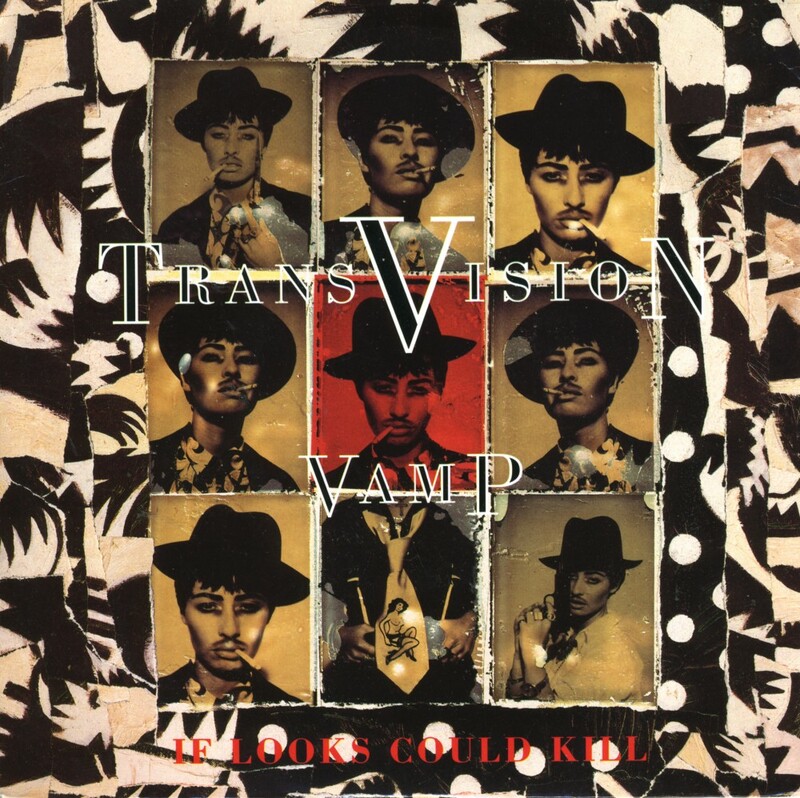 It was covered by Transvision Vamp in 1988, and released as their second single. Transvision Vamp was founded in 1988 by Nick Christian Sayer, Wendy James, Dave Parsons and Anthony Doughty. James, lead singer and frontwoman of the group, attracted media attention with her sexually-charged and rebellious image.